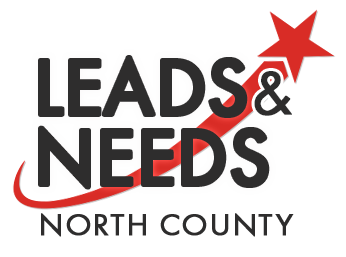 Leads & Needs: North County is tomorrow! 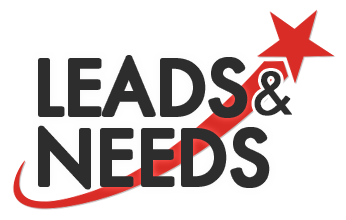 Join us at Mill Creek Pub for our Leads & Needs: North County , sponsored by iQ Credit Union . Enjoy breakfast, coffee, and tea provided by the team at Mill Creek Pub. Bring plenty of business cards , because we will then break out into groups for speed networking that maximizes your time spent with us. You are sure to make new connections and strengthen existing ones at our North County extension. 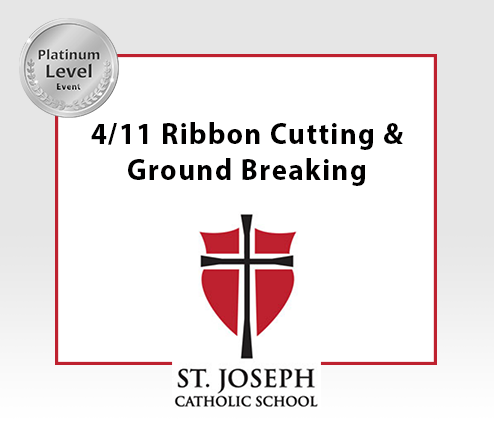 Pre-registration is appreciated, as we begin promptly at 7:30 a.m.
You are invited to join the GVCC Ambassador Team for this PLATINUM celebration for St. Joseph Catholic School from 4:00 - 6:00 p.m. Make sure to arrive in time for the groundbreaking and ribbon cutting promptly at 5:00 p.m. Delicious snacks and beverages will be available, while you tour this impressive campus. Join us at Beaches for our Leads & Needs , sponsored by Gateway Mortgage Group. Breakfast, tea, and coffee provided - all you need to do is RSVP online and bring plenty of business cards! This speed-networking event will indeed kick off your Wednesday morning. Pre-registration is appreciated, as we begin promptly at 7:30 a.m.
Want to learn How to Rock Reputation Marketing? Ronnie Noize of the DIY Marketing Center presents the perfect seminar fit for you. Friday, April 12th | 12:00 noon - 1:30 p.m. | RSVP Here! 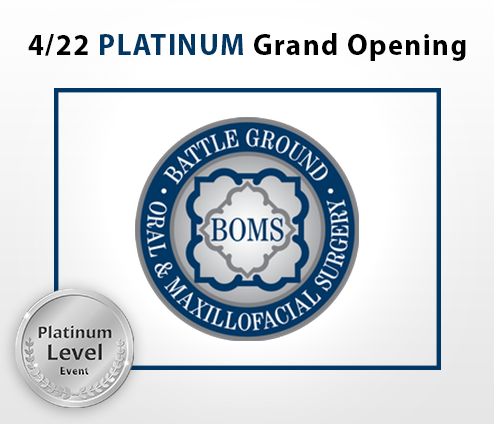 Join us for this PLATINUM celebration at Battle Ground Oral & Maxillofacial Surgery on April 22nd! The open house is from 12:30 p.m. to 1:00 p.m. with the Ribbon Cutting at noon, sharp. Stop by and enjoy some snacks and beverages, meet the staff, and tour this new state-of-the-art facility! Is your organization having an anniversary, ground breaking, or expansion? You spoke, we listened. Join us at our first-ever Leads & Needs event in East Vancouver on the fourth Wednesday morning of each month, always at Chick-fil-A! Our first sponsor for this event is also our site-host, Chick-fil-A Cascade Park who will be talking about all of the fantastic work they do in our community, meanwhile serving you incredible food. Make sure to bring plenty of business cards for this fast-paced, East Vancouver event. 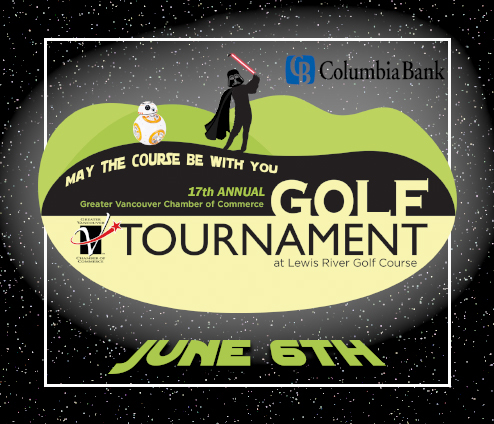 Grab your 9-iron and your favorite lightsaber, because it's officially time to announce our 17th Annual GVCC Golf Tournament at Lewis River Golf Course, presented by Columbia Bank! On June 6th, prepare for an event like no other, with out of this galaxy tee displays and on-the-course mini-games.  Sponsorship opportunities , now open ! ﻿Interested in donating a basket? Click here! Ronnie Noize of the DIY Marketing Center presents a seminar focused on boosting your networking confidence! Friday, April 19th | 9:30 a.m. - 11:30 a.m. | RSVP Here! Invite your middle school aged kids to Teen Night Out, sponsored by Prevent Together: Battle Ground Prevention Alliance . A fun and safe night of prizes, food, and costumes! More information, email Kathy Dechner . Kick off your springtime with a little "spring cleaning" in downtown Camas. In honor of Earth Day, the Downtown Camas Association invites you to participate in some weeding, planting, bark dust spreading and bed clean up from 1-4 p.m. It's time for Teen Takeover at Rocksolid Community Teen Center , from 7-10 p.m., invite your kids for a Hawaiian Luau Theme at the Old Lewisville School Gym. Only $5! Clark College Economic & Community Development presents " Influencing/Motivating Others " a course focused on a leader's reach and how to communicate critical messages within a variety of contexts. Join SCORE Vancouver for the upcoming session "So You Want A Bank Loan?" at HAPO Community Credit Union on Saturday, May 18th from 11:00 a.m. to 2:00 p.m.
Sheared Delights and White Oak Alpacas invite you to a weekend of education and fun with fiber! More information . Clark College Economic & Community Development presents " Professional Listening Skills " a course focused on interacting in the workplace, managing problems, and practicing effective listening skills. Join the Sundown Squad, including Elfin Services , at the Columbia Bank Community Room for a kick off party , commemorating the 2nd Annual Summertime Block Party for The Longest Day. Clark College Economic & Community Development presents " Engaging With Conflict " a course focused on managing difficult conversations and dealing with conflict in the workplace. Clark College Economic & Community Development presents " Achieving Effective Meetings " a course focused on facilitating and participating in effective meetings. You're invited to attend the Clark County Historical Society and Museum 's Speakeasy Soiree, presented by Lucy's Garden. More information here. Raise funds and awareness for Alzheimer's Disease at the 2nd Annual Summertime Block Party at Esther Short Park. More Info. Join the Arthritis Foundation at the 2019 Walk to Cure Arthritis at Esther Short Park! More information here. Attend SWCA 's 43rd Annual Golf Tournament at Lewis River Golf Course on July 26th! Only 40 golfing spots left. For more information, click here . Interested in adding a little color to Downtown Camas? Consider adopting a flower basket to bring more beautify to the historic Downtown Camas this spring. More information . WellHaven Pet Health 's hospital in downtown Vancouver has just been AAHA Accredited. Congratulations WellHaven! EOCF introduces the newest addition to their team, their new Marketing & Development Manager, Grant Gilson. Legacy Health expands their executive team with the internal promotions of two senior leaders: Bryce Helgerson, CIO and Trent Green, COO. Congratulations! Congratulations Vancouver Vision Clinic for being named a Best Practice by Eye Care Best Practices! Interested in Clark College's Continuing Education programs ? Check out their Spring Class Schedule here! For 6 FREE Garlic Parmesan Twists with any pizza purchase or offers from Round Table Pizza , text RTP545 to 86677. Check out the 2019 Annual Report by Visit Vancouver USA , an info-graphic handbook giving you an inside look at our community. Community Home Health & Hospice (CHHH) is offering multiple different, free grief support groups for all types of individuals. For those in Salmon Creek, there is an eight-week free Grief Recovery Method Support Group on Wednesdays from April 10 - May 29, 2019, from 1pm-3pm. More info. Pacifica Senior Living is looking for CNA's and Home Care Aids to join their energetic, creative and communicative team. Some requirements of the role include: CNA or HCA, CPR/First Aid Certification, Food Handlers Card, and a background check. Part-Time and Full Time positions available! Click the link to fill out an application , or email your resume to Jordan Wilson . 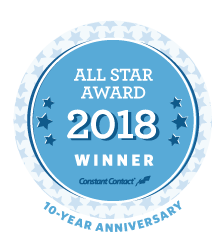 We wanted to take a moment to thank our readers for making us Constant Contact's All-Star Award Winner in 2018.
on what you like most about this eNewsletter and your membership!